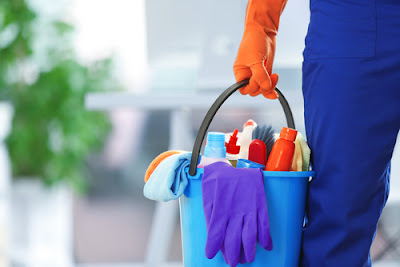 Maid Agency Singapore: What Are the Various Types of Cleaning Services? For most, if not all people, cleaning at home is one necessary thing to do which is sometimes, not so desirable, especially if the person is really busy with work and other activities outside. Then again, postponing cleaning is not the very best thing anyone should do. Essentially, it should be completed regularly; or else, the task gets even harder than expected. If you can't do it alone, you can book cleaning services. Also known as janitorial service or maid service, this kind of cleaning service is one of the most popular cleaning services. Basically, it involves general housework, plus other things like tidying up, clearing of rubbish and spot treating. Specialist cleaners sanitize the bathrooms, kitchen, and toilets, clean up the living room and bedrooms, eliminate the rubbish, as well as dusting, mopping and vacuuming. If you wish to get this type of service, you'll save a lot of money and time over time. This type of cleaning is often done regularly according to the customer's needs. It can be arranged for both commercial and residential premises. People can normally bookend of tenancy cleaning or post tenancy services as well. These services are extremely useful when a client is moving in or out of a property. Most people have carpets in their properties. However, they don't have the expertise or skills to clean the carpets alone, hence they use specialist carpet cleaners. These cleaners have all the necessary equipment and can take away all the grime and dust from the carpets. The key things that these cleaners do during the service include treatment of the carpet and deodorizing it properly. There are a few different carpet cleaning techniques so they know which one is best based on the carpet that you have. The advantage of using a specialist cleaning firm is that their cleaners are properly trained, plus they own the right products and machines required to handle the task. This kind of cleaning service is identified as a method that delivers great results and could make a dirty upholstery furniture or carpet look greater than ever. 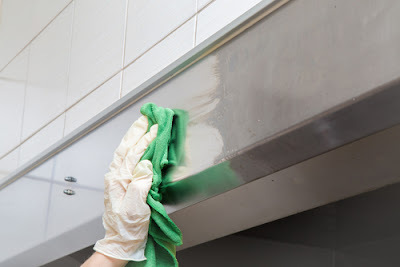 Expert cleaners make use of steam cleaning tools to provide treatment for certain areas. For instance, a heated carpet extractor is best used for carpet cleaning. Usually, there are many different kinds of cleaning services; each of which involves diverse tasks, tools and focus on a variety of issues. Getting your home professionally cleaned, will help to save time and money that you could invest in doing something else. Cleaning can sometimes be a daunting task, especially when you have little time to spare and a large area to cover. Fortunately, companies have sprung up and you can enjoy both residential and commercial cleaning services depending on the needs that you have for your spaces. The experts can usually handle any type of project, but when selecting, it helps to find out what services the company can offer you. The services are offered to landlords, property managers or even the individuals vacating the house depending on whose responsibility it is to clean after moving the house. The services are very important for landlords because they immediately put the property back on the market and with the potential of attracting new tenants thanks to the great condition it is in. For the tenants leaving the property, the cleaning services mean they can get their deposits back from the landlords by leaving the house spotless. If you have ever had a building project, then you know how messy the place can look after the work has been completed. Not all construction companies clean your space after the work is done and this means you are left with paint marks, dust, and other related building sites dirt. The after builders services are offered to take care of all these construction issues leaving the place clean. Building sites can be dangerous and it is not always easy to clean certain messes without the right products. Cleaning companies not only have the right products and equipment for the job but also have protective gear such as gloves, hard hats, glasses and boots to keep risks at bay when doing the cleaning. Carpets are great additions to a home or office, but they, unfortunately, get exposed to all kinds of dirt especially in high traffic areas. Professional cleaners can help keep your carpets clean and at the same time add life to them by using the right cleaning products, techniques, and equipment to suit your location needs and carpet type. If you are not sure about the best way of cleaning your carpet, you can rest assured that the professionals will come through for you. With the right product use and the best cleaning techniques, your carpet is no damage risk during the process. They are all aspects that can help you make the right decision when looking for a cleaning that is bound to fetch you the best results every time. 1. Use a window cleaner that attaches to your water hose to spray clean windows at one time with no streaks. For the inside of the windows, spray a window cleaner on the windows and wipe clean with newspaper for a streak and dust-free shine. 2. 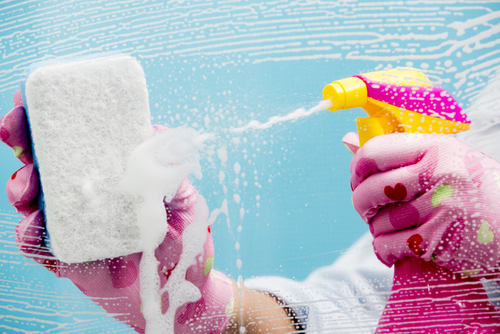 Spray all your screens with a strong stream of water in a sweeping back and forth motion. With enough water pressure, no scrubbing with chemicals is necessary. 3. Wipe down all windowsills with a rag soaked in a deodorizing liquid cleaner to not only clean the buildup of dust, cobwebs, dirt, and bugs, but it will give your home a fresh scent while cleaning. 4. For mildew buildup on walls and ceilings of bathrooms, soak a sponge mop with mildew remover solution. Dab all mildew spots. In a minute or two, the mold will be gone. 5. Use a rag and furniture polish to shine and dust your furniture at the same time. Do this only once a month. Use a regular dust-grabbing mitt for weekly cleaning. 6. Keep a bottle of disinfecting wipes handy in the bathroom. Use these to quickly wipe down counters and toilets every three days to maintain a healthy environment. 7. Dust baseboards easily by using a dust-grabbing mitt and placing it on your foot, walk around the entire house with one foot on the baseboards. 8. Deter grime build-up in kitchen sinks by spraying the sink down with a disinfecting bleach after washing dishes. 9. Vacuum your floors and carpet before dusting, as vacuuming causes some floor dust to rise. 10. Save dusting and cleaning time by using disinfectant cleaning wipes to clean dirt, mildew, and dust from blind window treatments. Not all of the above top 10 cleaning tips need to be followed each week. The cleaning of windows, screens, windowsills, and bathroom mold can be done every four months. This will allow you to maintain a well-cared for home at all times. The other tips are great ways to maintain the cleanliness of your home with minimal time. Thorough Clean as the name suggests beliefs in delivering high quality and the best services to its clients.